I’m super excited about my Spring & Chelsea redesign. It feels like I’ve moved into a brand new house with more space and modern amenities! To kick off the redesign, I’m introducing a standing series on wellness + travel called My Healthy Trip. Healthy travel isn’t just about avoiding diet pitfalls, it’s also about modifying your fitness routine to fit your temporary schedule, staying hydrated and taking steps to prevent feeling run-down. For the moms out there, it is traveling with your baby or toddler and not getting overwhelmed and stressed. Here is a recipe for one of my healthy travel essentials: Cooling Lavender Mist. The entire act of travel is dehydrating. If you are flying, you are on a plane with recirculating, dry air. If you are driving, there is still a chance your skin will be dehydrated because you forget to drink enough water. This is why I carry some sort of facial mister whenever I travel. It prevents skin dehydration, sets my makeup and gives me a dewy glow. I like the Evian canisters, but making your own is easy and the aromatherapy is both calming and combats the nasty smells lurking in the plane cabin. Mix the water and glycerine to your medium sized bottle. Then add your essential oils. Shake well. Transfer some to your atomizer. Mist 6 inches from face. 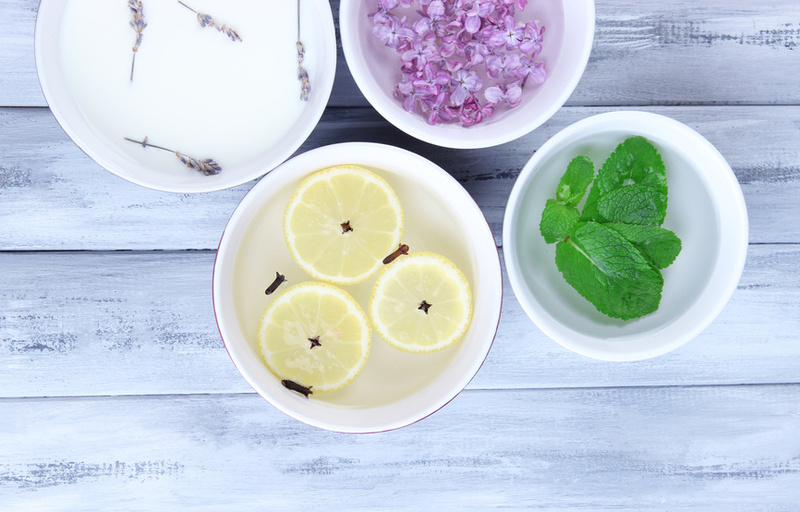 Experiment with a variety of essential oils. I like Bergamont, Frankincense, Geranium and Sweet Orange Oils.